Why did the LRS choose to adopt Marxism-Leninism as its guiding ideology? Many of us were revolutionary nationalists rooted in the Black, Chicano, and Asian American movements. We embraced Marxism-Leninism because this ideology provided an analysis of the capitalist system that lay at the root of our struggles and charted a path to building a socialist revolution in the U.S. Marxism-Leninism placed the multinational working class at the head of a broad-based movement that would allow true democracy to flourish and end exploitation of workers and people of color. We also chose Marxism-Leninism over other ideologies such as social democracy or anarchism because it had guided successful revolutions in the Soviet Union, the People’s Republic of China, Cuba, Vietnam and other nations. What was party building and why was it deemed to be the central task? 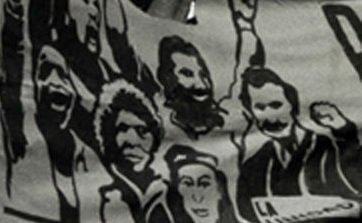 The LRS formed in 1978 after the political suppression of and attacks on revolutionary organizations such as the Black Panther Party and the Young Lords Party. The mass movement lacked a national organization to help coordinate and maximize efforts. The merger of the August 29th Movement, I Wor Kuen, and the Revolutionary Communist League and other collectives to form the League was a step forward in building a multi-national revolutionary organization, but that was still not sufficient to mount a socialist revolution in the U.S.
Based upon our study, particularly of Lenin, we believed the socialist revolution needed a vanguard party just as the Chinese Communist Party was needed to win socialism in China. Party building meant: 1) developing our political line for organizing the revolutionary movement, out of a sharp contest of ideas in both theory and practice, 2) uniting the different strands of the left around this political line, and 3) building a mass base and recruiting new revolutionaries out of the mass struggles. While the 1970s was a heavily rhetorical period, the LRS spent more time developing our political line through mass struggle than we did in debates with other left organizations. Perhaps because of this reality check, the LRS stood out as one of the few Marxist-Leninist organizations of the time that never declared itself to be the vanguard party. How did the LRS carry out its work? Like revolutionary organizations in other countries, the LRS saw itself as fighting a powerful, often ruthless adversary. To maximize its effectiveness, it operated according to the principles of democratic centralism. Organizational decisions were made collectively, and once a course of action was decided upon it was incumbent on everyone to carry it out in a disciplined way, speaking with one voice. Every cadre had his or her particular role to play. The LRS believed that “practice is the sole criterion of truth.” In any given situation it was important to recognize the limits of one’s own understanding and capabilities. Work was collectively discussed and summed up, mistakes were identified and corrected, and adjustments were made when things weren’t working out as planned. The LRS tried to develop its work step by step and avoid the sudden, drastic changes in political line that often compromised the work of other left groups. For their own protection and the protection of the organization, most cadre did not openly identify themselves as LRS members. The LRS was mindful of the history of both the Community Party USA, which was slandered as an “agent of a foreign power” and harassed during the Cold War and the Black Panther Party, who faced FBI infiltrators and provocateurs, trumped-up criminal charges and even outright assassination at the hands of the authorities. Operating secretly often made the work of LRS cadre more difficult, but it was considered necessary. The LRS benefitted from the experience of older comrades who were veterans of the CPUSA. From them we learned how to structure the organization into districts, sections, units and fractions. In a city such as San Francisco or Los Angeles, where the LRS had many members, cadres were assigned to units that were rooted in a workplace, campus, community, or other area of work. Large districts had student, labor, community, and international support work sections, which were further sub-divided. The labor section would have units composed of cadres assigned to work in the hotel/restaurant industry, auto, post office, manufacturing, etc. Student sections would have units focused on Chicano student, African American, Asian Pacific, and white progressive student organizing. In large-scale efforts such as the Jesse Jackson for President campaigns of 1984 and 1988 or Watsonville cannery workers strike support work, cadres from many different sections met in fractions to coordinate their work, share information about potential recruits, and assess ways to mount a more effective campaign. How did people join the LRS? People were recruited to join the LRS. Cadres active in mass work met many progressive activists. People who were interested were asked to join discussion groups around Unity newspaper and Marxist-Leninist study led by the LRS members. Cadres also worked with activists in work teams in the mass work. People who agreed with the LRS’ political line and who were willing to follow democratic centralism and engage in disciplined, collective work were asked to become members. Immigrant workers who spoke Spanish and Chinese were recruited to the LRS, and discussions and internal documents were provided in their native language. We recruited everyone from youth to senior citizens. What was it like to be in the LRS? Being in the LRS was an intense, empowering experience. All cadres were assigned to an area of political work. Most worked full-time jobs or attended school and many were raising children. Political work could mean being active in a union, a community organization, a campus group, or international support work coalition. Other cadre worked on Unity newspaper in writing, production, and distribution. In addition to discussing strategies and tactics for the unit’s area of work, LRS cadre did political study in their units. Political study not only included reviews of classic Marxist literature but also contemporary analysis of the U.S. and international political situation. Cadres also learned from each other’s work through reading internal summations of LRS work in mass campaigns in all the work areas. The unit also was a place to deal with mutual accountability. Everyone was expected to do a fair share of work. Criticism and self-criticism, the practice of airing shortcomings of each other and oneself, was utilized in units to provide discipline and accountability and to help each other to consciously transform one’s world outlook. To be a LRS cadre meant working collectively with people who shared a common goal and who were dedicated to the cause of socialist revolution. There was a high degree of mutual support and personal sacrifice. And most importantly, there was a sense of optimism and joy as the LRS grew and its mass work had an impact on changing conditions for the better. Some of the early cadre considered themselves cultural nationalists before joining the LRS and its predecessor organizations. In the LRS, we became internationalists and felt supported by our comrades of all races and ethnicities. What was unique about the LRS? Unlike most of the left in the U.S., white males did not dominate the LRS. The leadership of the LRS was predominantly people of color and predominantly female. The rank and file was mostly African American, Asian American and Latino. 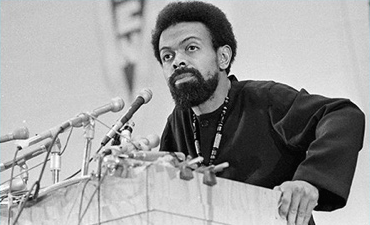 AS a revolutionary organization that grew out of the Third World student and community struggles of the 1960s, the LRS placed a tremendous emphasis on this work and believed the core constituency and strategy for the U.S. revolution was the “strategic alliance of the working class and oppressed nationalities.” LRS cadre played leading roles in building people of color organizations, some of which remain strong to this day. Our practice was to empower the people we worked with. The LRS was vigilant about upholding women’s equality and placed combatting male chauvinism as part of its internal life. Women were leaders in the mass work and this was reflected also in leading the LRS. Tell us about the LRS childcare system. The LRS childcare system was a fundamental factor in facilitating women leadership. It was provided seven days a week in the evenings and weekend days to enable working parents to participate fully in political work. Whether you had children or not, all cadre did a child care shift. Initial trepidations about leaving your child in the hands of 18 years olds were quickly dispelled, as college students, after a little training, were often the most beloved children caregivers. Children in the LRS childcare system experienced multi-nationalism first hand and grew up together. Some of them remain friends to this day. For parents, the childcare system enabled them to go to evening meetings, work the picket line, or plan campaigns with others. It was indispensible in allowing people to work in the mass movement and develop as cadres and leaders. How did the LRS support itself? Members were required to pay monthly dues, which were assessed on the basis of income. Much like tithing, the dues system asked those who had well-paying jobs to give more. The funds were used to support a very small national staff that produced Unity newspaper and did full-time organizational development work. Fundraising events were also held for Unity newspaper. What were some of the hallmarks of the LRS’ work? 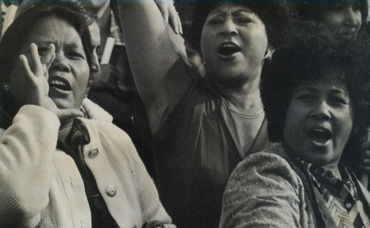 The LRS was committed to standing with people in the struggle for their rights, whether it was low-income, immigrant tenants in Chinatown or low-wage, undocumented Latino laborers in small plants or in the vast agricultural fields of Ohio, California and Washington. In many situations, we helped found mass organizations such as the Chinese Progressive Association in San Francisco and Raza Si in San Jose to mount ongoing campaigns around workers and immigrant rights as well as provide much needed services such as English-language and citizenship classes. The LRS also participated in coalitions such as the National Coalition for Redress and Reparations, the Latino Agenda Coalition, the National Black United Front, and other coalitions. In the case of the movement for redress and reparations for Japanese Americans incarcerated during World War II in American concentration camps, LRS cadre played an active role in building broad coalition. By building grassroots support in the community and putting pressure on Congress to give monetary reparation as well as an apology, the National Coalition for Redress and Reparations won a substantial victory. The LRS also participated in some of the toughest labor battles of the era. The battle to save General Motor’s Van Nuys plant was aided by LRS cadres and supporters as they worked from the shop floor and in the local Chicano community. The struggle within Local 2 of the Hotel and Restaurant Employees Union for rank-and-file leadership was aided by the work of LRS cadres. Many cadres were elected union leaders because of their militant opposition to poor working conditions, low wages and discrimination against minority workers. The 18-month struggle of the Watsonville cannery workers was another pitched battle in which workers fought to gain control of their union while also resisting the cannery owners lock-out and wage cutting strategies. The LRS joined with the workers by rallying community and student support from throughout northern California and the central valley. Why did the LRS dissolve in 1990? As the LRS’ mass work became more ambitious and its involvement in electoral politics grew, its organizational structure became harder to sustain. The high level of commitment and discipline required of cadre made recruitment difficult. The policy of not having cadre identify themselves openly as such, and a growing concern that red-baiting could harm the united front groups and mass movements in which the LRS was involved, led many to conclude that identification as a Marxist-Leninist organization had become a political liability and was holding back the work. The leadership became divided over whether the model of a working class revolution led by a vanguard party was still relevant. Efforts to resolve these differences were unsuccessful and the organization disbanded. Some former cadres formed the Unity Organizing Committee and continued to do organizing work and publish Unity/La Unidad newspaper. Others joined the Freedom Road Socialist Organization. And others continued as independent socialist-minded activists in the movements and communities they had been involved with as LRS cadre.